The official cover for Thomas Newman’s Bond debut has been unveiled. The soundtrack to ‘Skyfall’ will be released October 29th 2012, 3 days after Skyfall is released in UK Cinemas. This is the first time in the Daniel Craig era that the soundtrack has been released after the film. 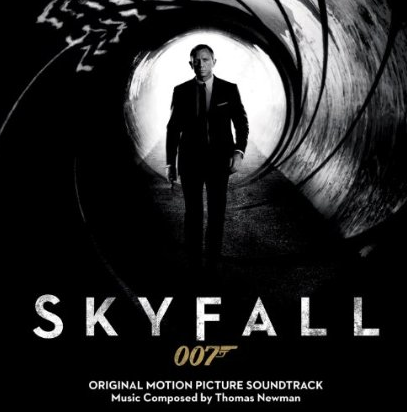 The cover features the design of the first teaser poster, showing Bond walking down the famous gunbarrel.